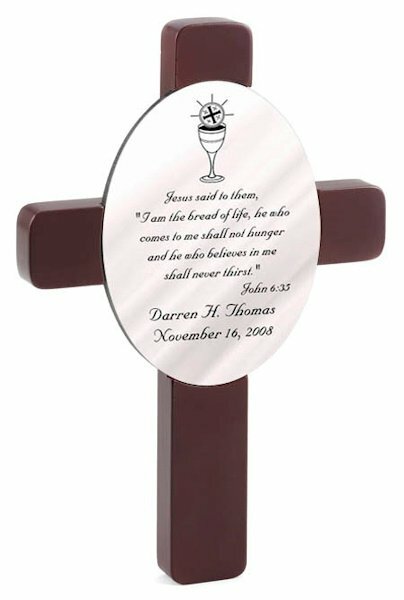 Our Personalized First Communion Cross is a lasting reminder for this special religious milestone. 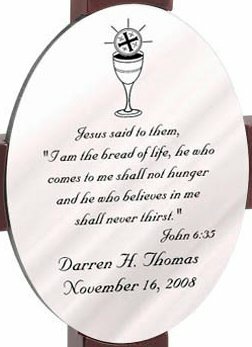 The cross features a chalice and Host design along with a sacramental passage from John. 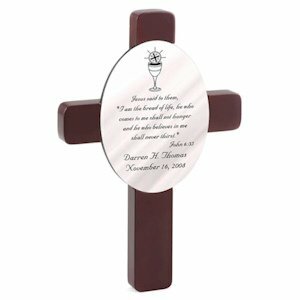 We personalize the cross with their name and date of First Communion making this a cherished keepsake to display for years to come. Cross measures 11" x 7" x 3/4".